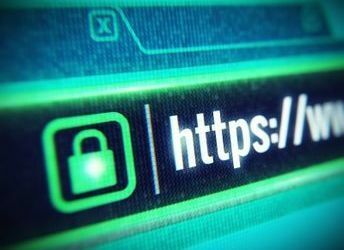 It is time to use an SSL certificate to secure your website - Website SEO, Design and Hosting News | SilverServers Inc. This is an important update on changes that affect your website. Recently web browsers began notifying visitors to any website that has a form (such as a search box, contact form, etc.) that the page is insecure if there is no SSL Certificate installed. Usually you can tell if SSL is installed when the website address starts with https instead of http. Depending on whether you use Chrome, Safari, Firefox or Edge for your browser, you may also get a green bar or lock icon as well. SSL Certificates are used to encrypt the communications between the website browser and the website. For some time now there has been an industry-wide attempt to help make the internet more secure for everyone and many experts believe that a key step is to convince all website owners to abandon http (non secured) and adopt https (secured) communications. In the past you had to have a dedicated IP address for every SSL certificate. IPv4 addresses are reportedly in very short supply so most providers were not able or willing to force all clients to encrypt their website communications. More recently, changes have been made to how SSL works and it is now possible for website hosting providers to more easily bind multiple SSL certificates to a single IP address and the costs have come down substantially. Considering that there may also be an seo benefit, there are very few reasons against having all websites using the https protocol. As a visitor to websites, one of the key things you may notice is that if the website is not using https any pages that have a contact, search or other form element may cause your browser to issue a warning about the security of the website. If you notice this you may want to contact the website owner and let them know so they can contact their hosting provider to purchase and install an SSL certificate. We can also answer questions about the differences between free and paid SSL certificates.